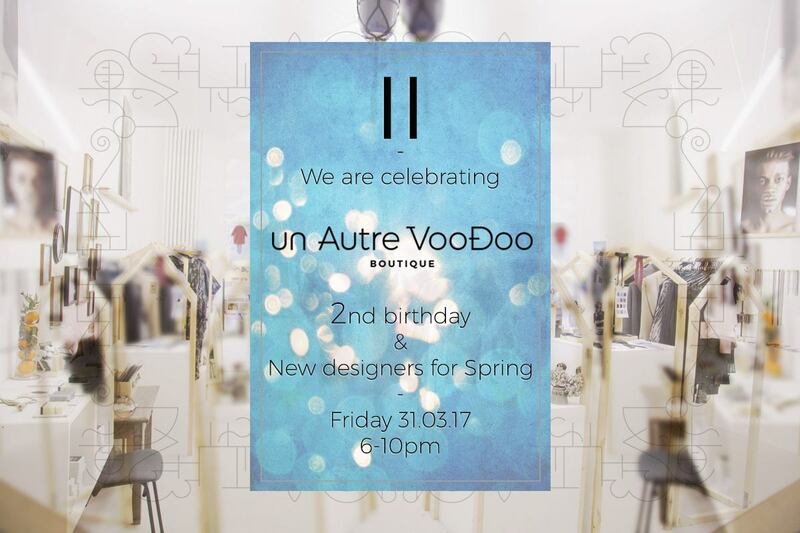 On Friday 31/03 we are celebrating 2 years of VooDoo!! We opened our doors in March 2015 in Neukölln, having the envy to show young designers based in Berlin, working on sustainable products, with affordable prices. We wanted to run our shop in a friendly and family atmosphere, without the pressure of buying, with real advices to help you finding what will fit you perfectly. We moved to Kreuzberg in December 2016 in a bigger and better located place. We could therefore welcome more talented people, still with the aim to exhibit what we like and believe in. We would like to celebrate those 2 years with you and all our designers, to thank you all for your support and for sharing the same passion! Our special winter sales will run from Friday 24th until the end of the party with up to -50% . You will also have the chance to be the first ones to discover our new designers we carefully selected for the Spring season.